Micro lights are some of the brightest and smallest lights you can buy. Use these rave lights on a keychain, for gloving or put them on a string and start swinging to create some awesome effects. A rainbow of colors right on your finger tip. 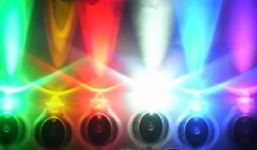 Each LED light flashes a mix of colors. These ultra thin lights have 3 LEDS that combined together create 7 modes. A tiny LED all by itself that can be used for decor, costuming, or custom design purposes. These have countless versatile uses and even has 3 modes! Whether your ride is a car, bicycle, or motorcycle, these lights create a spectacular streaking trail of bright red, white, and blue that will get you noticed as you cruise the streets. 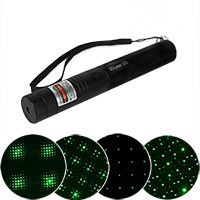 This Green Galaxy Laser Pointer is 3 TIMES BRIGHTER than our other laser pointers. Just like those traditional full-size fluorescent black light fixtures but in an easy to carry 5 1/2" size! Great for performances, security, and scientific use! 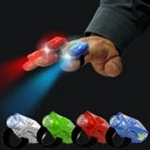 These single finger lights have 3 modes! Select from steady-on, slow flash, or fast flash modes! 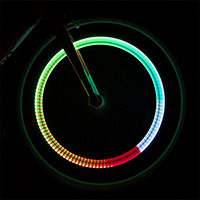 Creates either a ribbon or streaking trail of light in motion! Attach this LED zipper pull to your jacket and watch it flash to your every move! This is our brightest, most powerful single-color microlight with astonishing levels of light output. Features fast flash, slow flash, and steady-on modes. 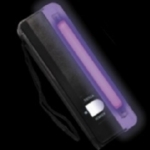 Currently available in white, green, blue, red and blacklight purple LEDs! 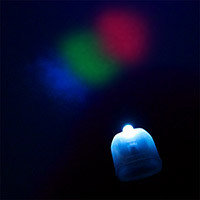 Cheap enough that you don't have to care if you lose them at the party, but packs a lot of light-up bang for the buck! 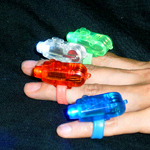 These super-bright LED finger lights feature a steady-on mode only. 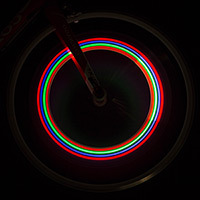 5 bright multi color LEDS will add some bling to your bike. 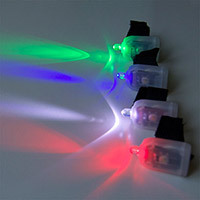 This pack of 4 separate ultra-bright LED microlights slip easily on your fingers. These almost unbelievably wafer-thin LEDs are just the thing to use in costuming, decor, performance, and custom design use. Perfect for integrating into your own outfits or use it as a great accent light. 3 lighting modes! Comes in RED, WHITE or BLUE LEDs.